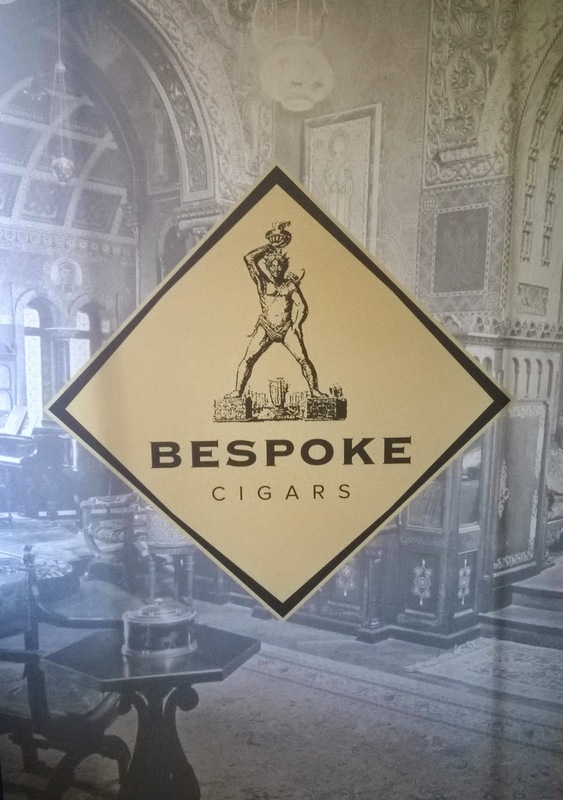 The largest cigar club/private lounge in Helsinki, the KirjaClub, was honored to host a cigar tasting presented by Jeremy Casdagli from Bespoke Cigars. 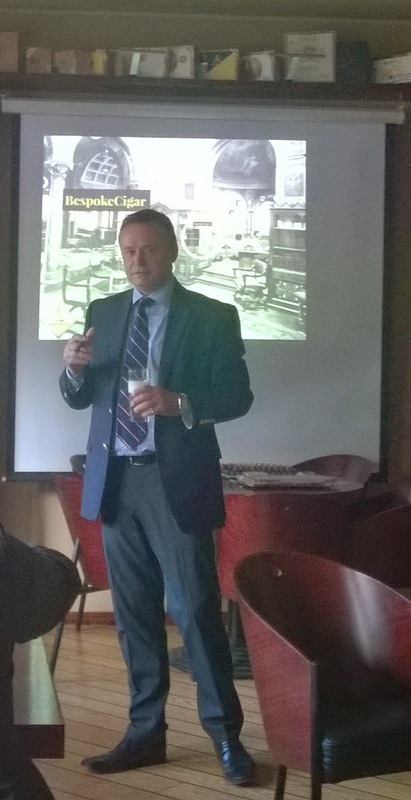 During the event, we received a great brief on the history and philosophy behind the brand and the Casdagli family. 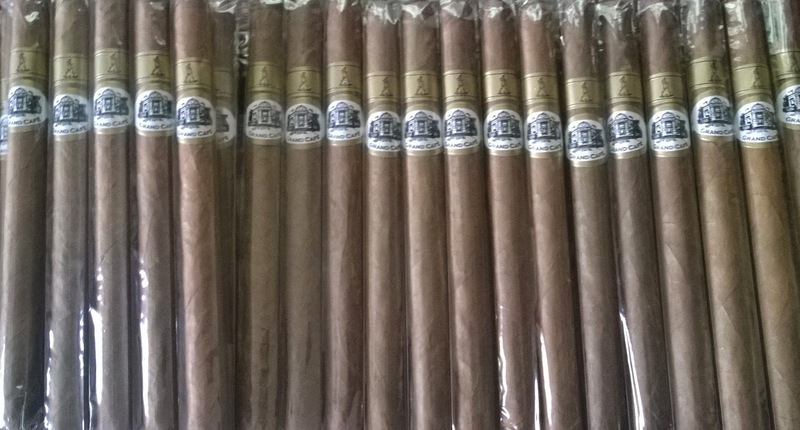 The cigars sampled at the event were of a great blend of tobacco from various sources blended together by no one else than Hendrik Kelner Jr of the famous Kelner family of Master blenders at the KBF factory, Santiago, Dominican Republic. We had the pleasure to smoke the Bespoke Grand Cafe and Cotton tail. Both very good cigars. I intent to write more about the brand and the cigars in the future, so this is just a little teaser of the upcoming. Good things are worth the wait. Meanwhile visit www.bespokecigar.com for more info. 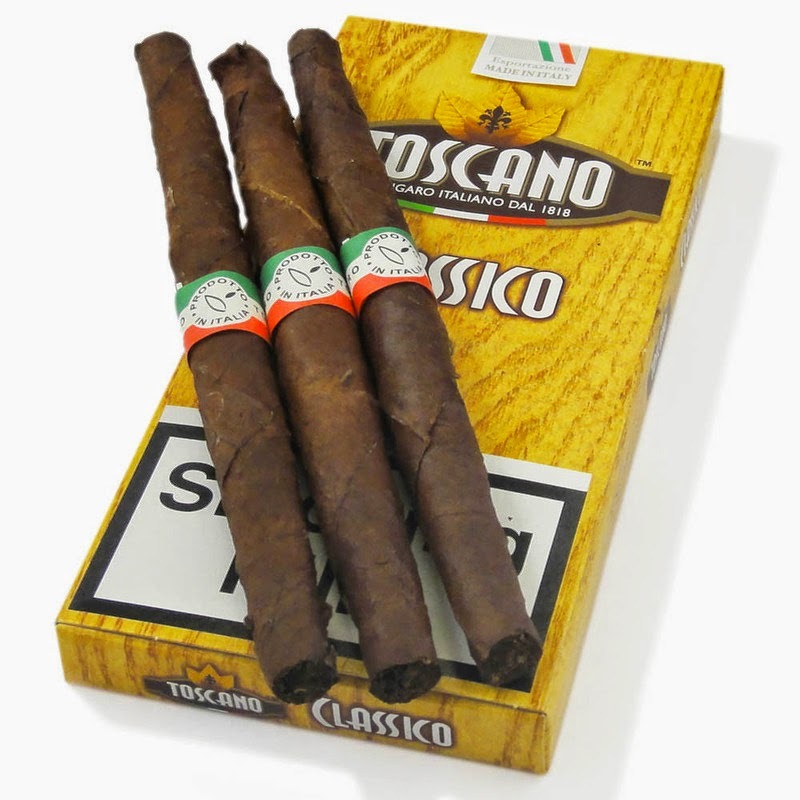 The Toscano cigars (including Classico) are a tradition by itself. The cigar is a slim, uniquely shaped perfecto (open from both ends). and has a dark, rustic wrapper filled with lumps and veins. 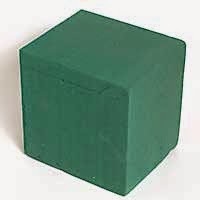 It has been hand rolled to the same shape for nearly two centuries and i don't even start comparing it to any other cigars reviewed here so far. 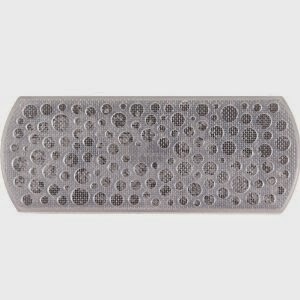 The cigar is completely made of Kentucky fire cured tobacco and gives out a musty, earthy and sweet tobacco fragrance when unlit. When lit, the first draws (although very tight) reveal a flavor profile matching the initial fragrance - musty, sweet tobacco with some spice and pepper on the tongue. 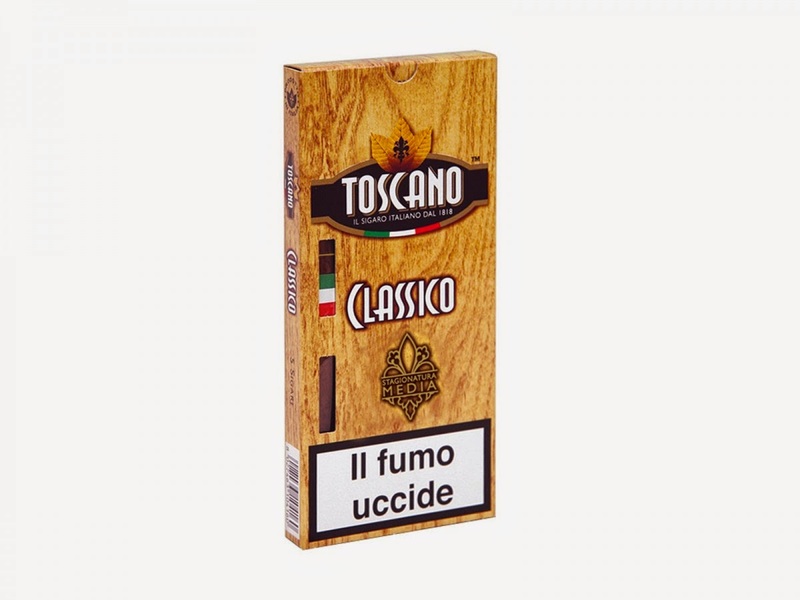 The draw quickly opens up after just a few draws and reveals the full nature of the cigar. With a great consistency throughout the cigar, the flavor profile is that of mentioned above, slightly developing in body and strength towards the end (medium to full). The finish is peppery. The bottom line? Absolutely a cigar worth experiencing. A great reminder of the old world, where cigars were a bit more unique and did not have that shiny, immaculately smooth looks. The rating here is a bit tricky. Parts to the cigar, parts to the experience - just because i feel like i have to rate it to fit the form of the previous reviews. Not to mention, that i felt like Clint Eastwood in one of his spaghetti western movies. Yep, he smoked Toscano Cigars. 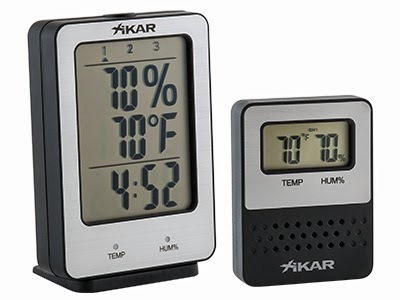 I have been using the Xikar PuroTemp™ wireless hygrometer system in my cabinet humidor for a month now and liked it very much. I currently have only one remote sensor in there, but want to get 2 more to measure on different spots in the cabinet. After getting those, i can monitor the whole cabinet with all three sensors feeding the same base unit on my desk! 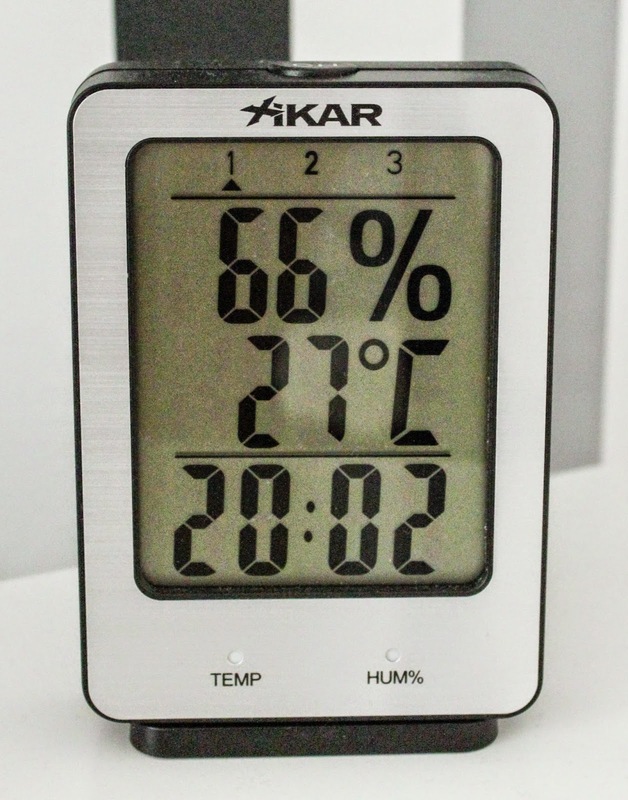 The PuroTemp measures the temperature as well as humidity, both with programmable alerts available and come pre-calibrated with accuracy of RH: +/- 2% Temperature: +/- .1 °C. My electronic humidifier's calibration was a bit off and i trusted the PuroTemp readings in order to re-calibrate it. Looks fine now. When i get the two additional sensors, i will be able to adjust the air flow configuration to even up the fluctuation of humidity levels throughout the large cabinet. The PuroTemp does not release you from applying a proper means of humidification to your humidor but at least with it you can make sure you are doing it right. A great tool to measure and control the proper conditions for your precious cigars. Already available in USA, international release date is later in August. Proper humidification is easily one of the most discussed and debated facets of proper cigar care. And, as with any debated subject, there is a multitude of misinformation making its way to the unwary cigar connoisseur. 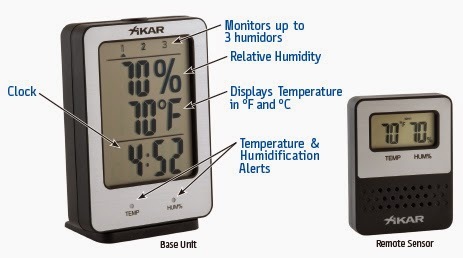 Luckily, XIKAR has spent the time and effort to research the best way to provide your cigars the perfect humidification, and innovative ways to monitor the situation inside your humidor. The first step in protecting your cigars is bringing the humidor itself to the proper humidification, called 'seasoning'. During this process, the cedar wood of the humidor soaks in the humidification to reach a balanced microclimate inside the box. 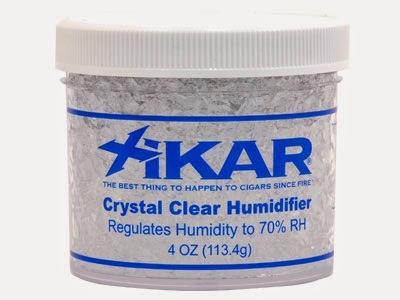 This can be done quite simply by placing a jar of XIKAR's Crystal Clear Humidification. Many people will say that this process can be sped up by wiping the inside of the humidor with a wet cloth. Do not do this! Humidity must be introduced slowly so as not to cause the cedar to swell or crack. 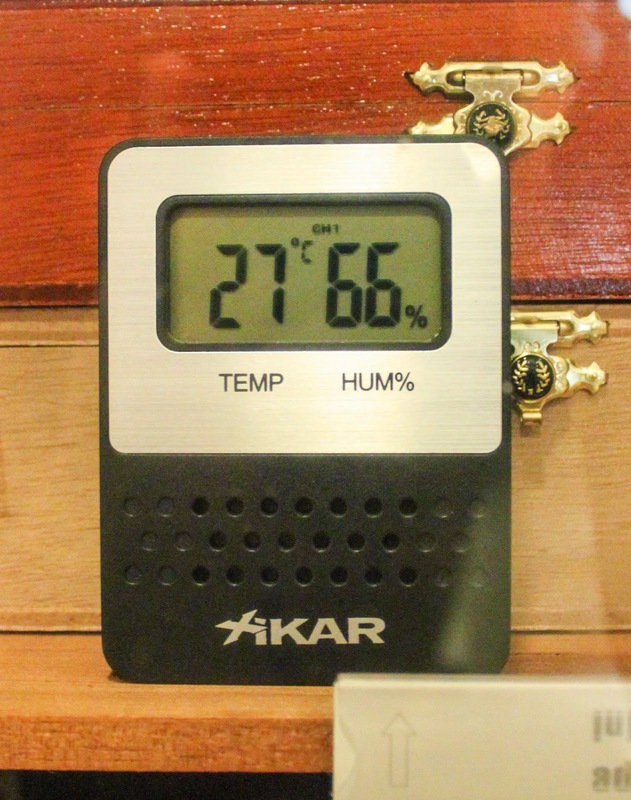 Instead place the humidification jar inside the humidor for 2-3 days, until your hygrometer reads 65%-70%. After this is done, it is safe to place your cigars inside the humidor. Most will recommend you monitor your cigars with a digital hygrometer, and after you purchase a digital hygrometer, many will suggest that you need to calibrate the hygrometer to 70% via what is know as a "salt test".